Hello! Welcome to A Sampling Bee! 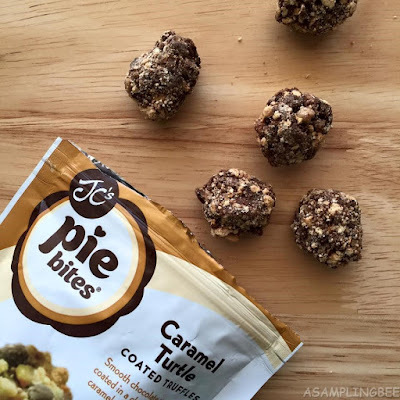 Today, I share with you JC's Caramel Turtle Pie Bites! You are going to LOVES these! Smooth chocolate caramel ganache coated in a chocolate pecan candy, caramel and graham cracker crust. Need I say more? 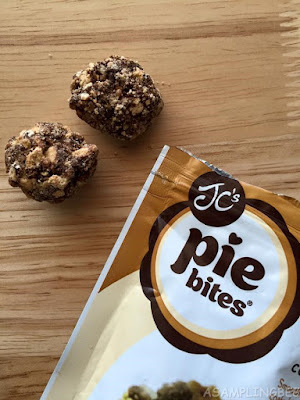 All of JC's products are Non-GMO and contain natural flavors. 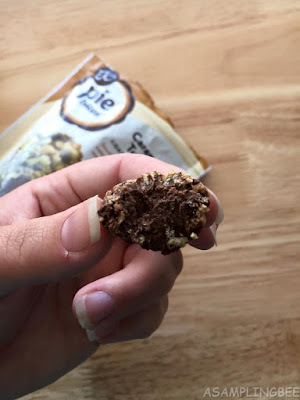 These pie bites are pop-able and transportable. They are the perfect size for small hands. They make the perfect after dinner dessert. For those of you with allergies: CONTAINS: EGG, MILK, SOY, WHEAT. MAY CONTAIN TRACES OF PEANUTS AND TREE NUTS. JC's Pie Bites are also available in S'Mores, Mint Chocolate Cookie, Caramel Apple Crumb and Chocolate Silk flavors. And, there are also JC's Pie Pops and Nudies available. Which are ice creams. Who doesn't love ice cream? 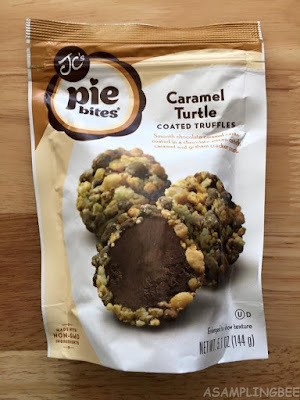 JC's Pie Bites are today's Truffles. These are my go to for a quick sweet tooth fix. 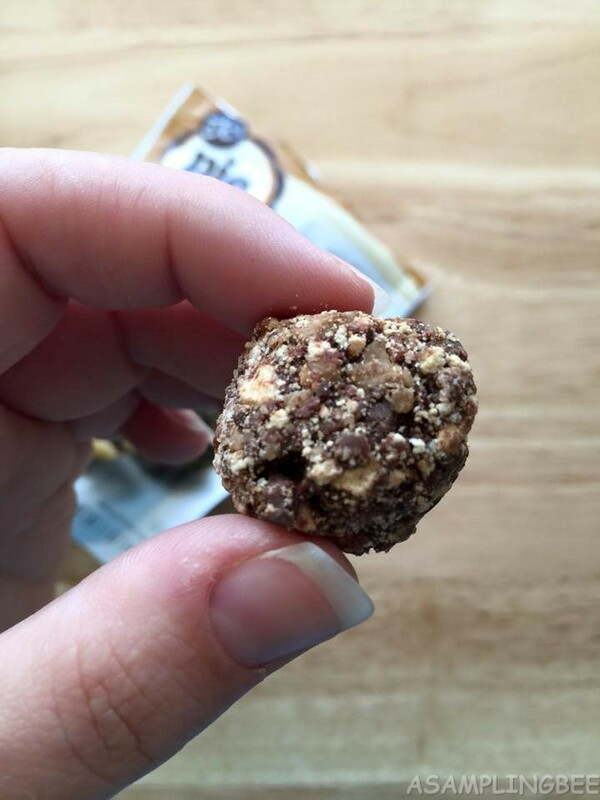 The inside of these babies contains a smooth, creamy chocolate caramel center. The outside crust is crunchy with a hint of saltiness. I have to admit, I ate the whole bag in two days. They're delicious!